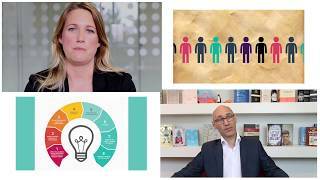 Transform your L&D career with a CIPD qualification. If you are looking to formalise your existing experience, or gain the latest skills and knowledge in the industry, then this course is perfect for you. This course is a great stepping stone for an aspiring L&D Manager. As an L&D professional, you need to stay up to date with the latest thinking and practices in today’s fast-paced world of work. This certificate will help you close any skills gaps and get you up to speed in digital learning. This qualification models social and collaborative learning techniques which you can translate across to your own L&D function, through enhancing your performance and positioning yourself as a forward-thinking L&D professional. 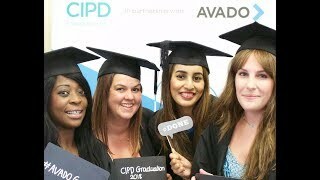 As CIPD Enterprise’s official partner for online qualifications, all our CIPD courses bring together CIPD’s expertise in L&D practice with the very best in digital learning, design and delivery from AVADO. All our courses are 100% online, so you can study whenever and wherever you like, making studying flexible around work and life commitments. The CIPD Level 5 Intermediate Certificate in L&D will give you access to the latest thinking in L&D. Upon enrolment you will be supported by a personal tutor, as well as being taught by CIPD experts and L&D professionals. Your personal tutor will be on hand to help navigate around the platform and put any doubts about distance learning at ease. Choose from a range of flexible payment plans to fit your financial situation. With our L&D Qualifications, you can spread the cost over 12 monthly payments, interest free. If you are aspiring to become an L&D Manager or progress higher within the L&D field, this course will be perfect for you. This course is aimed to formalise your existing experience and gain the latest skills within the L&D industry. As an L&D professional you will need to stay up to date with the latest thinking and practices in today's fast-paced world of work, this is why we have made improvements to work with CIPD experts so you can learn fresh new content direct from the global experts within the CIPD network. The CIPD Level 5 Intermediate Certificate in L&D will equip you with latest skills and knowledge you need to effectively manage your L&D function. Upon successful completion of your certificate, you will become an Associate Member of the CIPD. Achieving Associate (Assoc CIPD) status will allow you use the designatory letters Assoc CIPD after your name to showcase your credentials.